Click here to get the electronic version of this book (First edition only). With the growth of PACS installations, there is a need to educate potential users, managers, and people who support these systems about the fundamentals of the PACS technology. 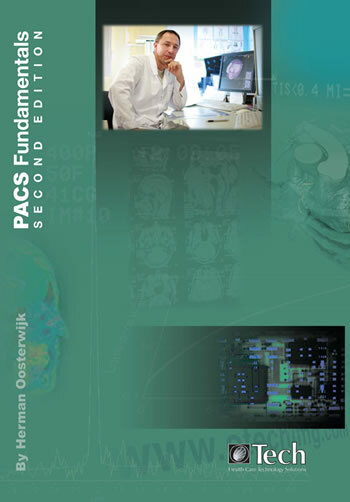 That is the objective of this book: to provide a basic understanding of PACS technology, as well as lessons learned from those who have used it for many years. The PACS Fundamentals book (second edition) is not a comprehensive discussion about all the different technologies used with these systems. Rather this manual is an introduction for a potential or current user who needs to better understand PACS background and technology in order to better perform their job whether it's using the system, supporting, managing, or even selling it. This book is used as supporting material in the OTech PACS system administrator training workshops and as part of the several PACS e-learning classes that OTech provides, and can also be used very well as a stand-alone textbook.